Disability is a benefit received from SSA by disabled worked, their widows, and in some cases their children. These benefits are available regardless of your age, if you have enough work quarters and are found to be disabled by Social Security. Children under age 18 may also be eligible if one of their parents receives disability benefits or is deceased. 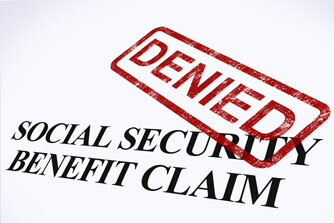 To qualify for DIB benefits, you must have a physical or mental impairment, or combination of impairments, which have prevented you from making over $1070 (for the year 2014) per month for at least one year or is expected to prevent you from doing so for at least one year, or is expected to end in death. SSA relies on its own set of regulations to decide whether or not you are disabled. Even if your doctor has told you that you are disabled and not able to work, SSA may find that you are not disabled, and therefore do not qualify for benefits. It is very important that you be seeing a doctor on a regular basis, as the doctor’s records are what SSA will use to determine whether or not your are disabled. People who qualify for DIB benefits will also qualify for Medicare benefits after the required waiting period.